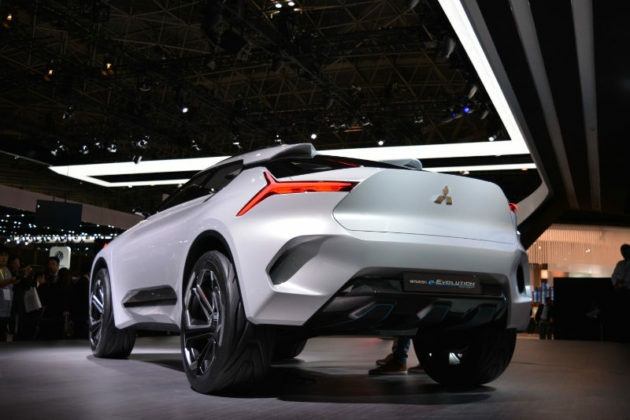 So very much is riding on the shoulders of Mitsubishi’s new Eclipse Cross CUV. With a lineup reduced to nothing more that crossovers, the need for them to be worthy competitors in their respective segments is an absolute must. 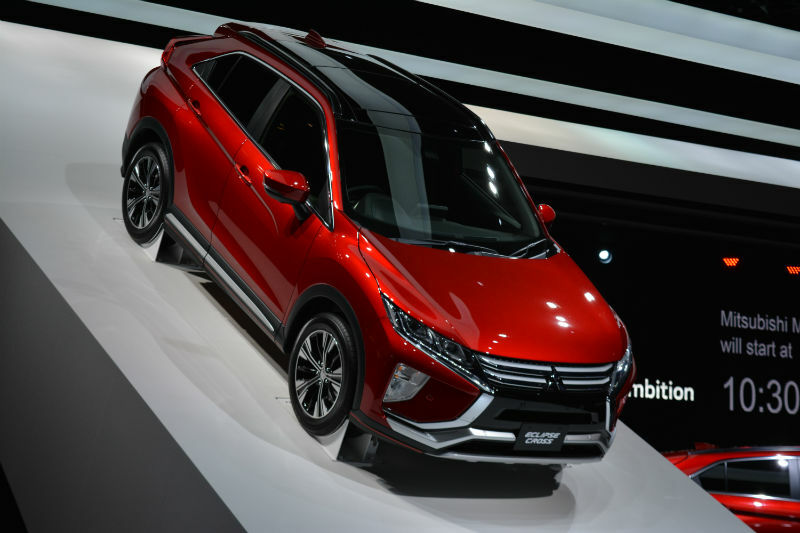 The Eclipse Cross starts off well enough as its exterior shell is admittedly original. 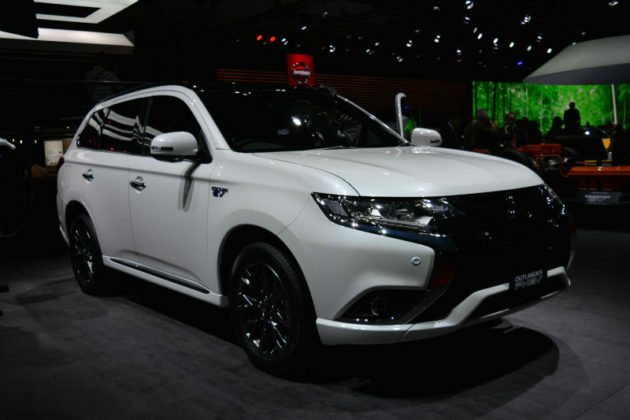 Available ingredients like Mitsubishi’s Super All-Wheel control AWD system and a turbocharged 1.5-litre 4-cylinder engine should render the driving experience satisfactory. A test-drive will be necessary to confirm this but in the meantime, Mitsubishi’s already teasing that there’s more to this vehicle than we might think. Now that all the performance and enthusiasm has been sucked out of the brand, the time has come to reinfuse it with performance 21st Century style. 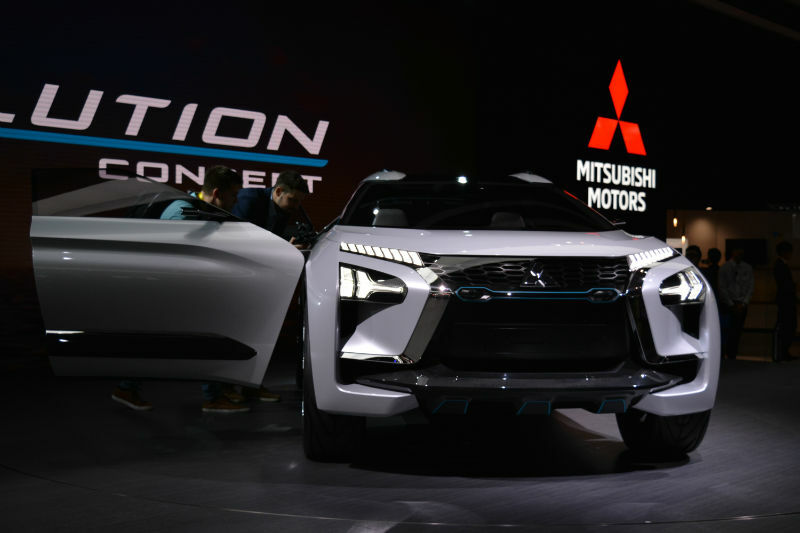 The brand’s new global tagline is “Drive your Ambition” and it would seem that it is with this E-Evolution all-electric high-performance SUV that Mitsubishi intends to launch this new brand strategy. 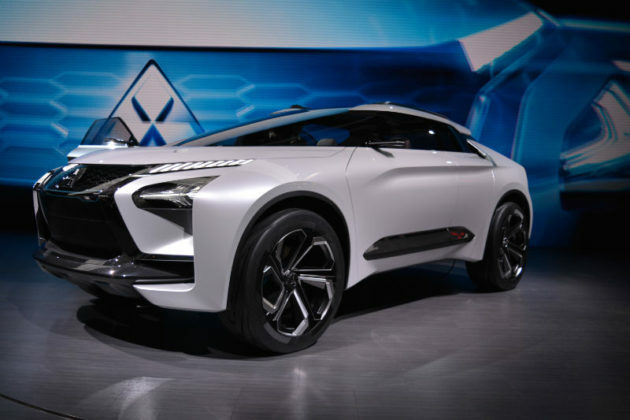 As with past Mitsubishi concepts, it is very difficult to describe the vehicle as attractive or anywhere near production ready. The high beltline, compressed greenhouse and oversized wheels are only some elements that are not likely to make the final cut. The important stuff, however is what goes on beneath the contrived sheet metal. 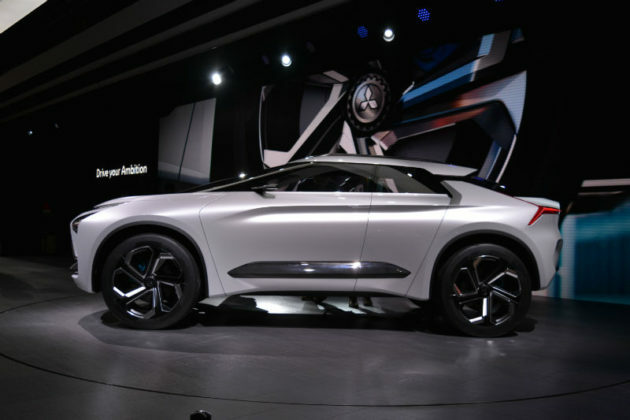 The concept features high-torque and high-power electric motors that are fed by a high-capacity battery. This E-Evolution concept is a 100% electric vehicle. Does this mean the very absolute end of the boosted big-horsepower fuel guzzling car? More than likely as this fits perfectly with Renault-Nissan alliance’s plan to launch 12 new all-electric vehicles over the next 5 years. 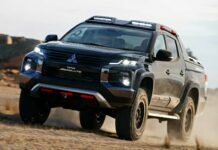 This vehicle calls upon a triple motor 4WD system. 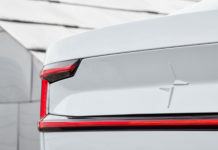 The front wheels are driven by a single motor while the rears call upon a new Dual Motor Active Yaw Control (AYC) system that consists of two rear motors that are connected via an electronically controlled torque-vectoring AYC unit. 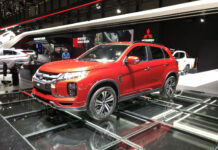 Mitsubishi’s unique Super All-Wheel Control (S-AWC) vehicle dynamic control system monitors all of this and makes it work. No further specific specifications of the E-Evolution concept were shared. 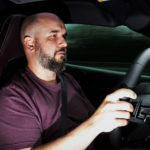 In other words, we don’t have output numbers, range or sprint times for the vehicle that is expected to pick up the performance slack left behind when the EVO X was terminated. It is very difficult to apply predict the future and guess how a production version of the E-Evolution will do in North America. 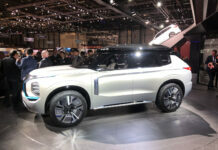 On paper, the vehicle is promising but let’s hope the final design will be more down to earth. 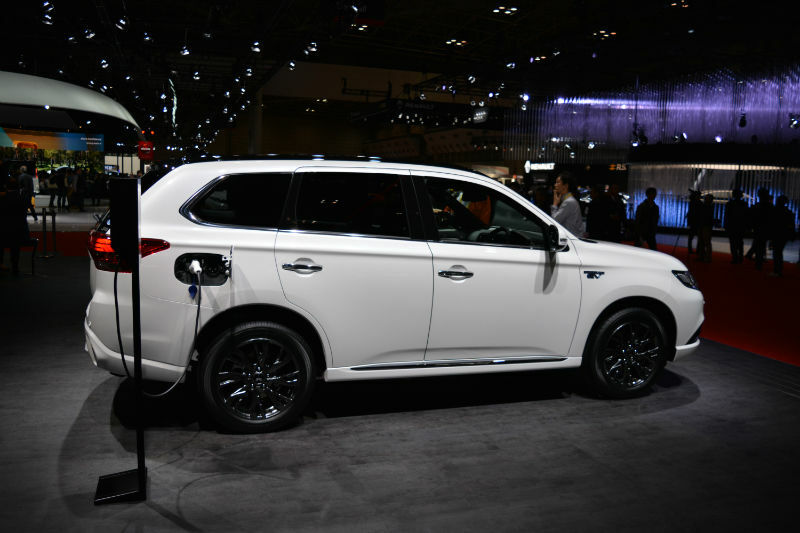 Meanwhile, the long-ago promised Outlander PHEV is alive and real and coming to Canada soon! 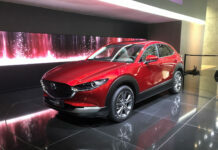 Who Does The New 2020 Mazda CX-30 Compete With?